Television personality and wildlife lover Roger Caras once said, “Dogs are not our whole lives, but they make our lives whole.” Anyone who has ever owned a dog would probably agree with this statement, and nobody more than Tom Ryan, whose little dog Atticus not only completed his life, but transformed him from the inside out. 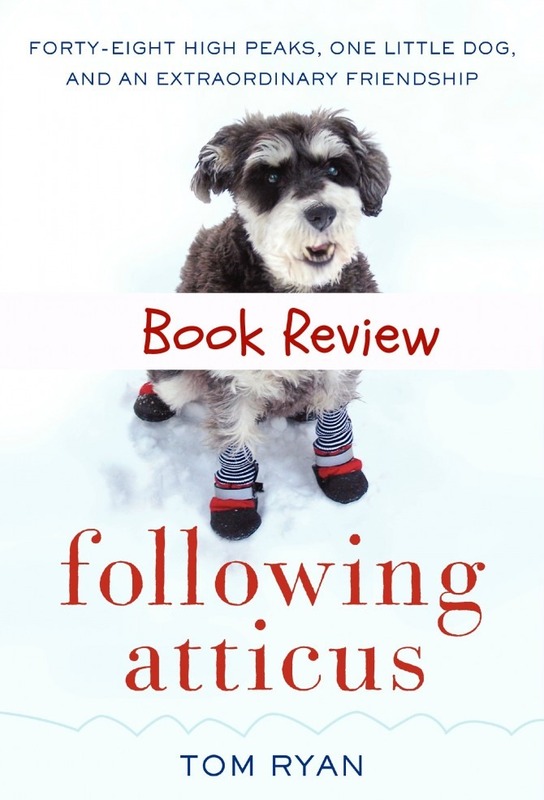 Ryan chronicles his adventures with Atticus on his blog and in his heartwarming memoir, Following Atticus: Forty-Eight High Peaks, One Little Dog, and an Extraordinary Friendship. In his pre-Atticus life, Tom Ryan is a middle-aged, overweight journalist who owns a muckraking newspaper in his scandal-ridden town of Newburyport, Massachusetts. He’s lived a somewhat hard and lonely life, and though he finds his work fulfilling, he feels as though something in his life is missing. That changes when he begrudgingly agrees to adopt an elderly miniature schnauzer named Max. Tom and Max quickly grow inseparable, and Tom feels that his life has been infused with love and purposefulness. But less than one year after they are brought together, Max grows ill and has to be put down. Devastated by the loss, Tom sets out to find a new companion, and he is soon the proud owner of a miniature schnauzer puppy he names Atticus Maxwell Finch. From the very beginning, Tom knows that Atticus is a unique dog, and the two immediately form a deep, special bond. And something begins to happen when Atticus enters Tom’s life: as Tom works to create a home for Atticus, he feels inspired to take better care of himself as well. The two take up walking together, and they discover a joint passion for hiking. When a close friend dies of cancer, Tom and Atticus decide to pay tribute to her – and raise money for charity – by attempting to climb all forty-eight of New Hampshire’s 4,000-foot peeks in one winter. 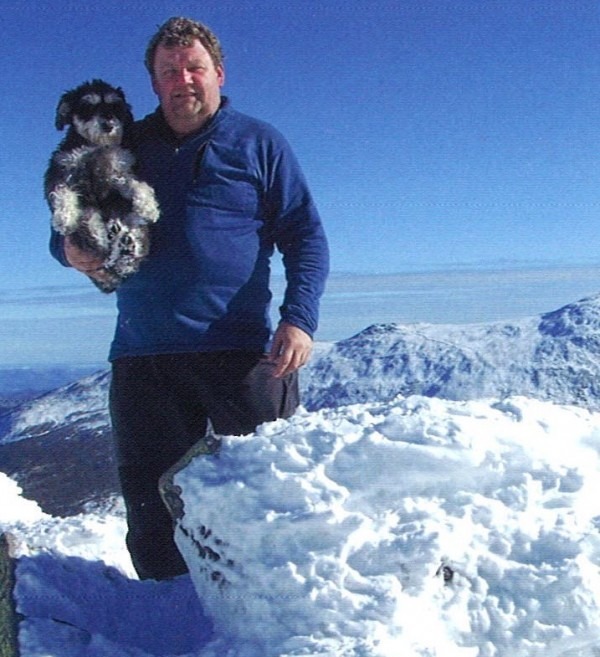 The two make an unlikely pair of mountaineers: one very small dog, and one very large man; but they are determined to set out on this adventure that will test their endurance and, more importantly, their commitment to each other. When I picked up Following Atticus, I assumed I was in for a touching animal tale, but at its core this book is so much more: this is a story of transformation, of perseverance, and of pure, sacrificial love. Ryan is a remarkable writer, conveying the facts while simultaneously drawing the reader into the deeper story and exposing us to the nuances of his personal journey. I was touched by his love for his dog, but also by the compassion he extends to other people; the transformation that occurs in the relationship between Tom and his father is particularly heartwarming. 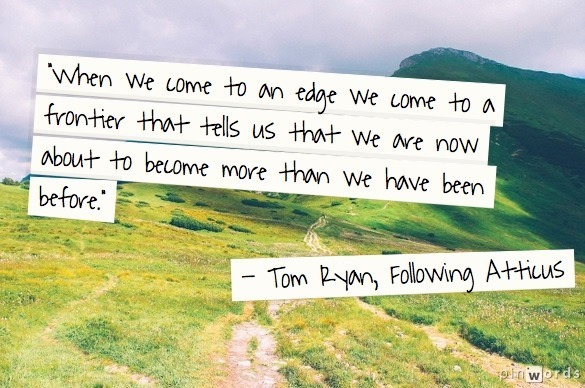 I was also inspired by Tom’s willingness to seek truth and make life adjustments based on his findings. In a way, this book is very similar to Cheryl Strayed’s Wild, but instead of coming across as narcissistic and superior, Ryan’s portrayal of his own journey is humble, relatable, and inspiring. Too many animal stories end sadly with the death of a beloved pet. After finishing Following Atticus, I was happy to discover Ryan’s blog and to find that Atticus is still alive and well! Tom and Atticus are still hiking, still finding life and joy in the mountains they love, and still navigating life’s adventures as the best of friends.